While thinking about what to write about this week, I decided to look back at blog posts from Januarys of previous years. Sifting through these memories was a lot of fun! It turns out that January has historically been a very exciting month for us, and quite the month for launching successful new products and education. Last January, we launched the Wire Charm Bracelets. These are very popular, very on-trend, and have given our customers a sassy way to display multiple small stamped pieces. 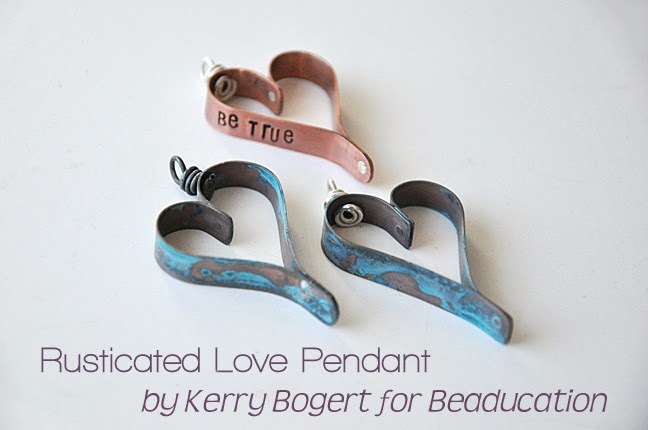 In 2014, our pal Kerry Bogert wrote a free project article for our customers. Have you tried this yet? It's a fun one! A few years ago, January brought us the Wrapped Head Pin Dangle free online class. This has been one of our most watched classes of all time! With this technique, you can add embellishment to your jewelry with beads and wire. Most of our customers use this technique to add a birthstone color bead or a pearl. Check it out! January 2012 was a biggie. 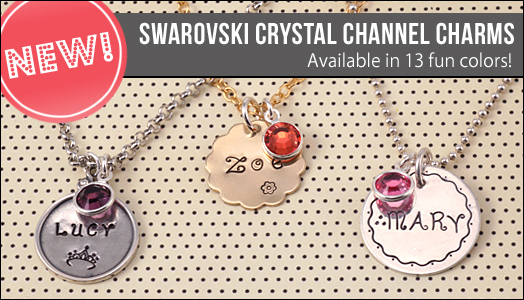 That's the month we launched the Swarovski Crystal Channel Charms and to this day, they continue to be among our all-time best sellers. Let me go back a bit further in time to one of the all-time most exciting years for Beaducation. January 2009 was the month of the great Kismet madness! We had just launched our lowercase Kismet sets and they sold out immediately; we were madly tending to the waitlist for this product. A little history before I go on... When I first created the Kismet lowercase stamp set, there was nothing like it on the market. The ONLY sets available were uppercase block letters. Boring! So I took a chance. People were used to spending $10-$60 on a letter set but this new Kismet set would be made in the USA (yay) and would retail for $135. It was risky, but we knew people would love it --and we were right! We first ordered 25 sets and they were gone in a day. So then we ordered in batches of 50. Again, gone in a day. Our supplier couldn't keep up! It got to the point where we would get in a batch, add it to inventory, and place bets on how quickly it would sell out. At one point, the response was so fast and so large that it broke our server! Which brings me to the blog post we wrote in January 2009, where we had to apologize to customers and admit our lessons learned. We got it all straightened out, have since sold thousands and thousands of Kismet letter sets, and the feedback has been overwhelming. Of the over 50 high quality font sets that we well, Kismet is still, to this day, our #1 seller. While other companies are catching their breath after a busy holiday season, we are gearing up to share more exciting products, classes, and projects with you. January 2016 will give you plenty of reasons to get excited about the new year!